Jesus challenges us to heal the hurting, feed the hungry, include the lonely, and help people find their way back to God. Most people listen to the missional challenge of Jesus as if it were a good motivational talk-something to inspire us, but not something we can actually achieve. Others hear the challenge of Jesus and become frustrated with how little they've done. The mission Jesus gave us was not just meant to inspire us, nor was it intended to frustrate us. Jesus gave us this mission because he wants us to actually do it!Within each person lies a potential movement that could change the world. The beginning of such a movement is simple: you living a life as a Christ follower that is worth reproducing. You will reproduce what you say. You will reproduce what you do. You will reproduce what you don't do. You will reproduce who you are.Each of us has the ability to catalyze a movement that can accomplish the mission of Jesus. Some of us have the ability to impact 10 people; some of us have influence over hundreds, while others have the potential to reach thousands. The Rapidly Reproducing Church will present a Biblical strategy that explains how every Christ follower can successfully "reproduce" himself and maximize his impact for the kingdom of God. The purpose of this book is to communicate a simple strategy that will engage every Christ follower and challenge every leader to become a reproducing leader. Our hope is that every church will become a reproducing church. This book will lay out a brief, but solid theology for a reproducing strategy and then give very practical "how-to's" for reproducing Christ followers, leaders, artists, groups/teams, venues, sites, churches and networks of churches. 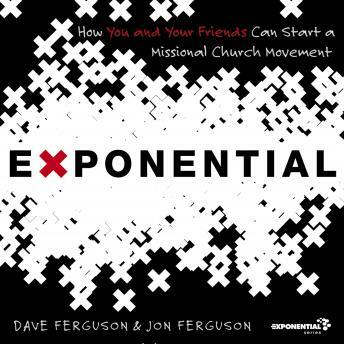 Weaved throughout this book will be the amazing story of Community Christian Church, started by five friends who used these reproducing strategies to grow one of the most influential churches in the U.S and develop a network of reproducing churches.